One of the most important roles that parents play is as protector for their children, tasked with keeping them out of harm’s way and equipping them with the ability to protect themselves when they become adults. This includes protection and safety in automotive vehicles. 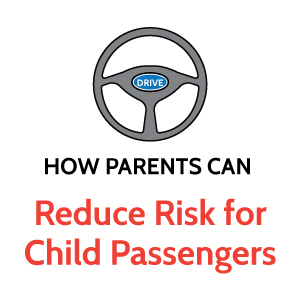 Keeping your child safe while you or someone else is behind the wheel is crucial. The number of child-related automobile injuries is staggering, but there are steps that you can take to protect your most precious cargo. With the Gerber Life Grow-Up® Plan, you can provide whole life insurance coverage for your children for just pennies a day.